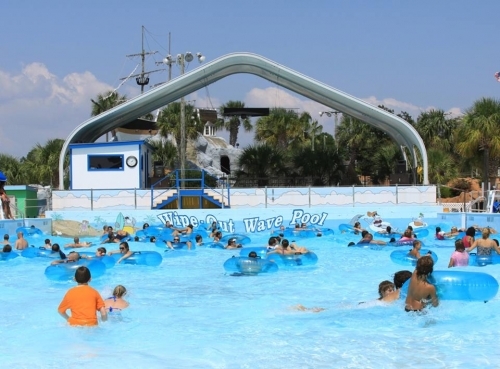 A 16-acre water park easily found on Highway 17 in Surfside Beach, Wild Water has more than 33 rides, pools and activities. The Dark Hole and Free Fall Cliff Dive are for the brave, while the Wipeout Wave Pool is a favorite for all. Flumes and slides that launch you at high speeds, sometimes head first, are what water parks are all about. There is a section devoted to children and a miniature golf course offers a family-friendly break from the high energy water park. Picnic sites, food court, arcade and a neighboring racetrack with rides for kids and adults are all part of Wild Water. Open daily in summer.